International Nurses Day is celebrated around the world every May 12. This year the International Council of Nurses have chosen “Nurses A Voice to Lead – Health is a Human right” as their theme. We agree with them that “healthcare should be accessible to all”. But – as part of their Hostile Environment policy this Government have been making it more and more difficult for people to access the NHS services they need. 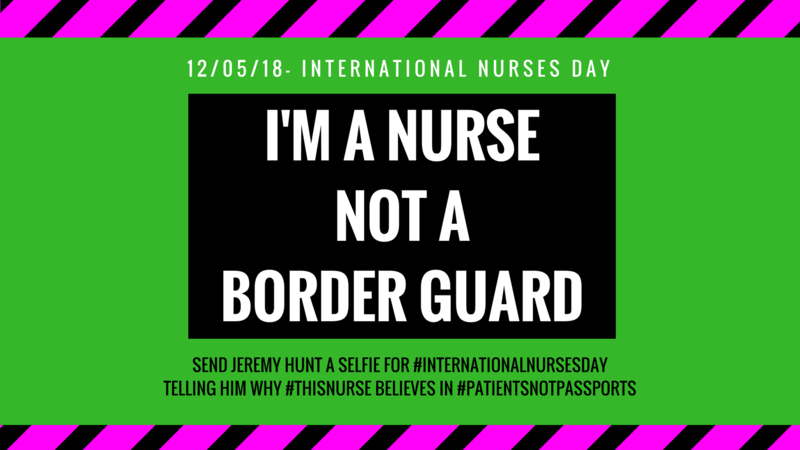 Join our “I’m a Nurse Not a Border Guard” twitterstorm on Saturday 12th May 12noon-2pm and tell @Jeremy_Hunt why #ThisNurse believes in #PatientsNotPassports! Full details below. 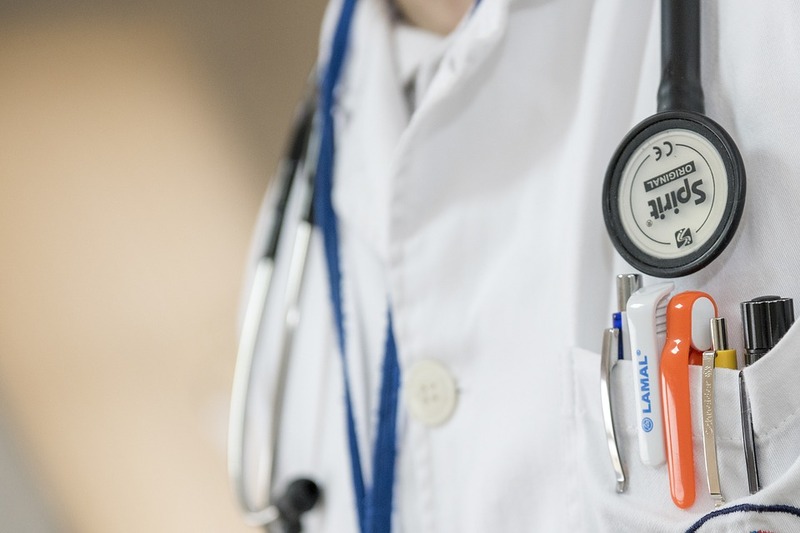 It is now mandatory for NHS trusts to check people’s immigration status before providing secondary care and for them to charge upfront for treatment in many cases. The Immigration Health Surcharge prices people out of visa applications – and is going to be increased even further. As Nurses we must stand up for our patients and advocate for their right to free, universal, non-judgemental healthcare. Join us in celebrating International Nurses day by telling Jeremy Hunt it’s time to end prohibitive healthcare charges for migrants, scrap ID checks in hospitals and community care, and time to kick the Hostile Environment out of the NHS. “We treat patients not passports. 2. “I’m a nurse not a border guard! 3. “Health is a human right and we’re nurses not border guards. Awesome post.Really insightful information. Thanks.